Watch your guests’ faces light up with delight as they walk into the Marble Castle Bounce House, a large, royally-inspired bounce house that features shades of purple and blue, as well as towering spires to round out the castle look! This bounce house features a large, roomy play area, a safety step at the entrance, and large mesh windows on all sides for clear visibility from all angles. 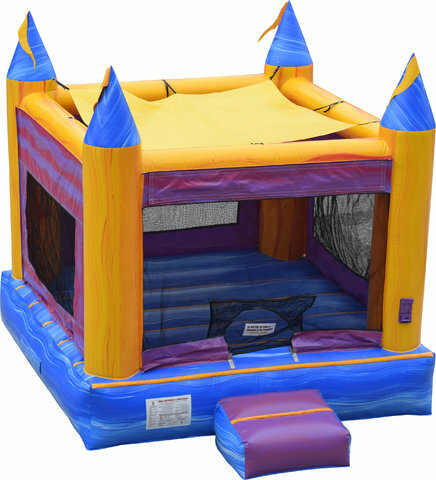 Treat your guests to a surprise fit for kings and reserve the Marble Castle Bounce House for your next party or event! Count on us at Waco Bounce House Rentals for all your party rental needs.